Learn how to make a glam, sparkly bag charm using Preciosa seed beads and a pretty gold plated filigree bead. Set up your Little Ricky Beading Loom by following the box instructions. 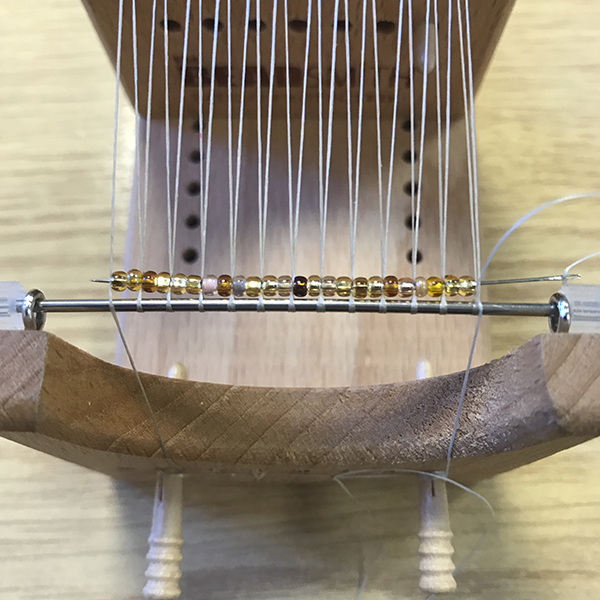 Secure the bridge into the 6th hole of the loom. Take a double arm span of thread and secure to end to a peg and slot it into place on the bottom left side of the loom. Weave your thread over the bottom bar, over and then under top bar and back again until you count 12 gaps on each side. Cut a double arm span of thread and thread your needle onto one end. Secure the other end to a peg and tighten it into the loom on. 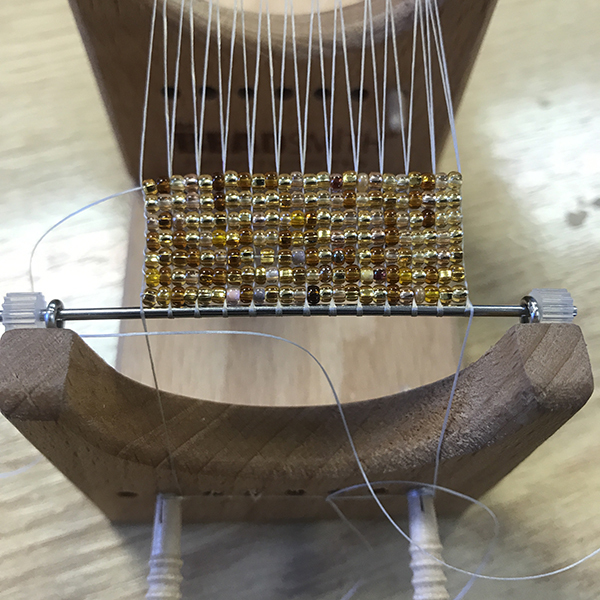 Now string on 24 seed beads, bring the thread UNDER the warp threads and lift the beads up so that the warps pop into place. 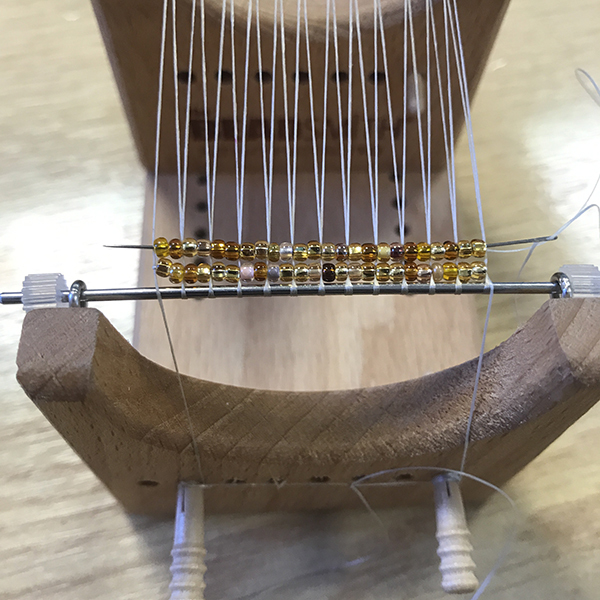 You should have two seed beads between each warp thread. This is a tricky step but it gets easier after the first row! 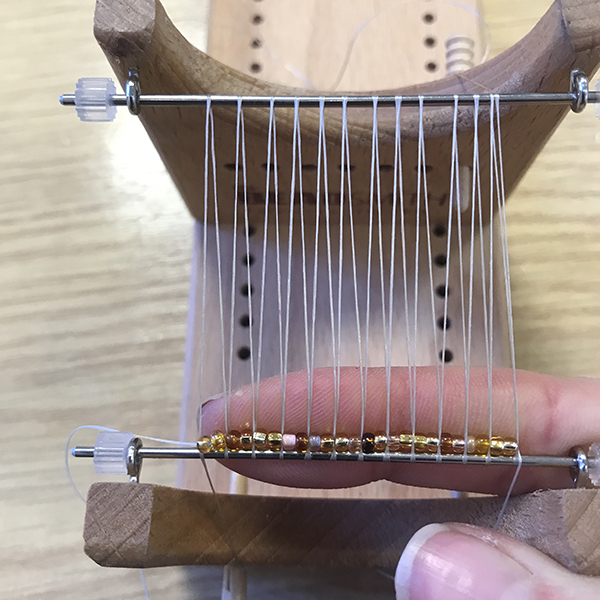 Press the seed beads up with your finger and pass your needle through the first row, going OVER all the warp threads. Exiting through the right side. 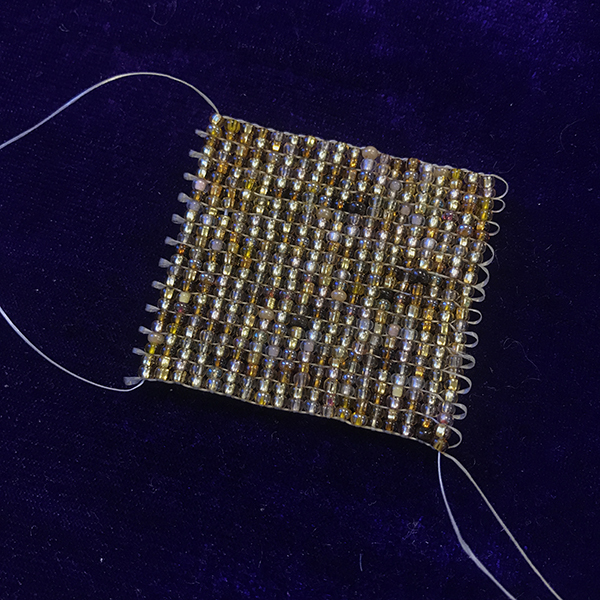 Now press the seed beads down a little and pass your needle back UNDER the warp threads, exiting through the left side. 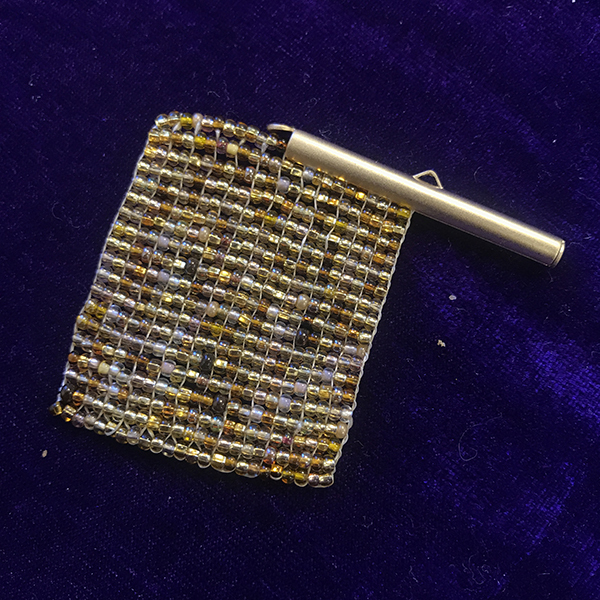 Add your second row of 24 seed bead, press them into place and pass the needle through the row from right to left. Continue to add rows. Use your finger tips to encourage the rows down as you go, making a tight piece with no gaps. The last row is always the hardest! 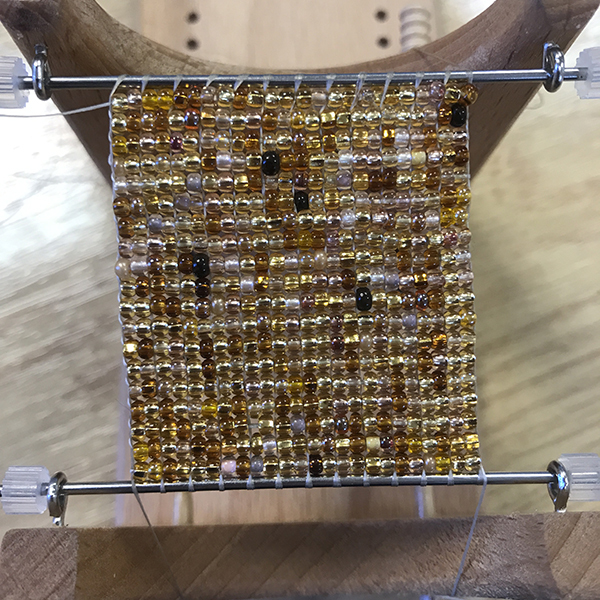 You may need to go through a few seed beads at a time and encourage the warps to sit beside the seed beads. We managed to make 19 rows all together. We suggest you add the nineteenth - otherwise your loom piece will look gappy at the end. The last row is always the hardest! You may need to go through a few seed beads at a time and encourage the warps to sit beside the seed beads. We managed to make 19 rows all together. We suggest you add the nineteenth - otherwise your loom piece will look gappy at the end! After your 19th row, go through it a couple of times before taking it off the loom. To fill the ends, gently roll the seed beads out with your finger. (This is why a tight loom piece is so important!). Weave your threads back into the design and tie a few half-hitch knots along the way to secure. Once you are happy that it won't come loose, trim away the tail ends. Open the end of a tube and slide the last row of beads inside it. Close the tube end and repeat at the other side. 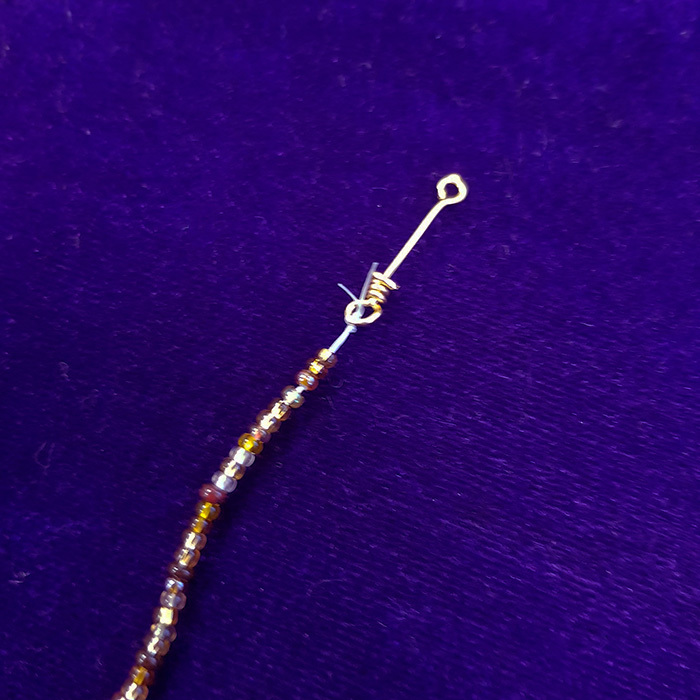 Take an eye pin, leave a 1/2cm gap before making a wrapped loop. Check out the video here for tips on how to do this. Take a length of thread and add a needle. Pick up 40 seed beads. Missing the last seed bead added, thread back up the 39 seed beads and out of the top. Knot the two ends of thread together approx. 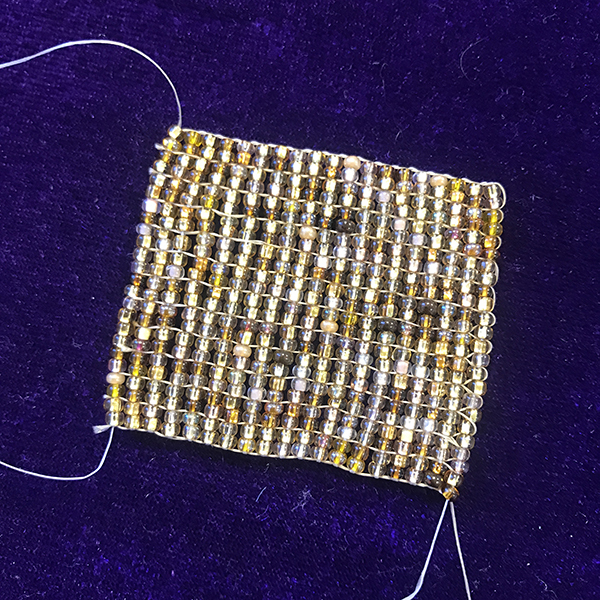 1/4cm above the top seed bead. You need to leave this small gap so that your seed beads have movement. Put this to one side. Make 8 of these strands of seed beads. 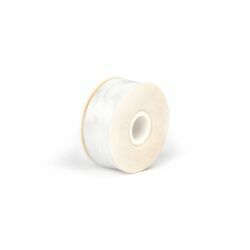 Repeat this to attach all 8 threads onto your wrapped loop. These should stay secure, however you can add a drop of glue or some clear nail polish to secure them further. Take a spare bit of thread and knot it to the other side of the pin, through the normal loop. 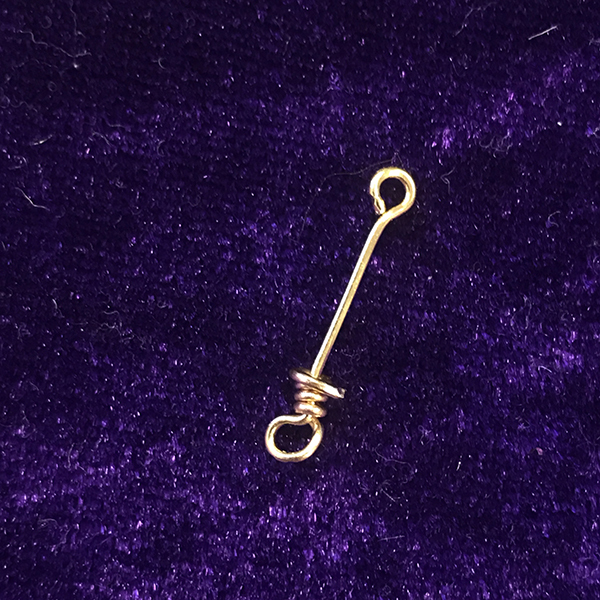 Add a needle and thread this cord through your gold filigree bead and pull your pin all the way through with it. 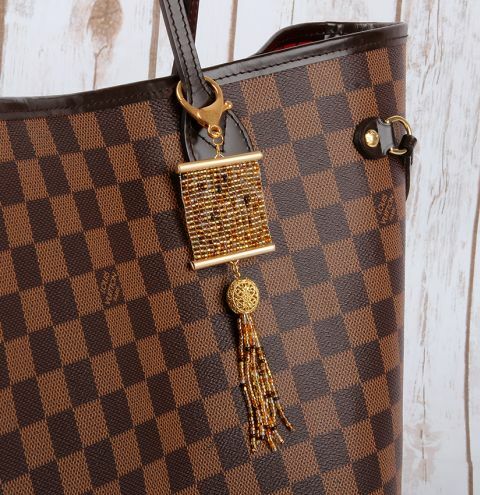 The width of the seed bead tassel should stop the whole tassel going through the bead. 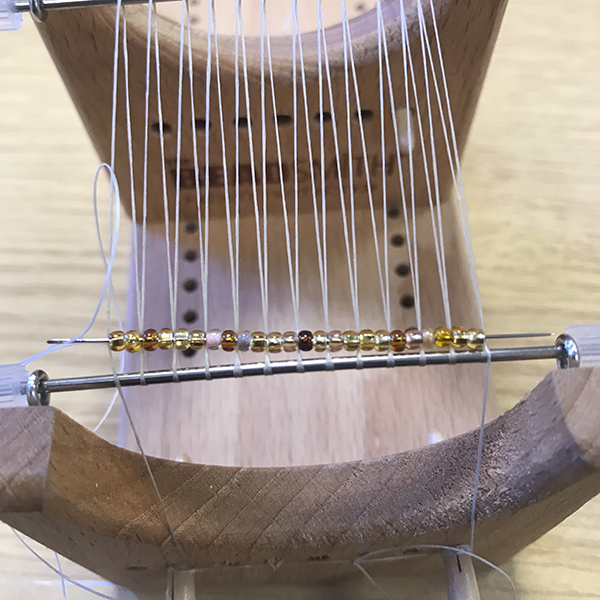 If you can see any thread on the underside of the bead when you have pulled the pin through, roll the top loop in on itself more to shorten the pin. The knots on the pin should be hidden inside the bead. Take a jumpring and attach the top loop on the pin to the loop on your loomwork. 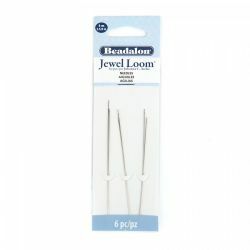 Trim off the excess thread that you used to pull the pin through your bead.